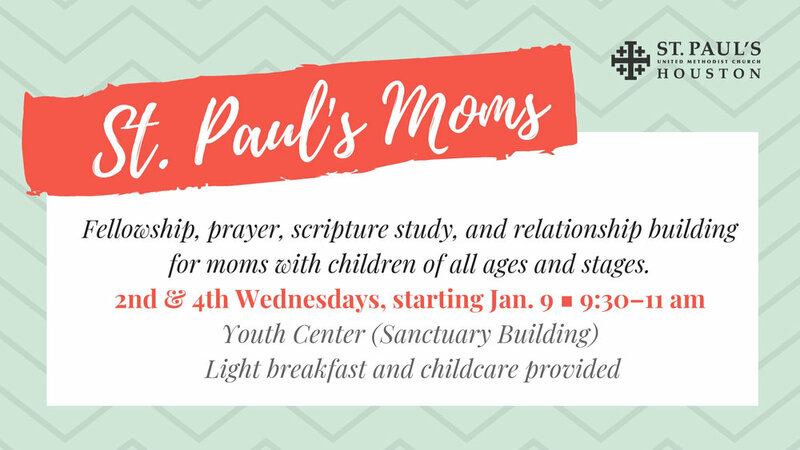 St. Paul’s Moms will kick off the new year with a Meet and Greet on Wednesday, January 9, at 9:30 am, along with an introduction to the group’s new study, Becoming Heart Sisters. Description from publisher: “Let’s get together to catch up!” How many times have you and your women friends made this exchange? And how many times did you follow up? Despite being more connected than ever before, we struggle to feel connected. And yet, our friendships with other women are not only something we want, they’re something we, as women, need. In this six-week DVD Bible study, author Natalie Chambers Snapp teaches how to develop and nurture the kind of enriching and satisfying friendships that build up the body of Christ and bring honor to God. Includes five daily lessons for each week combining study of Scripture with personal reflection, application, and prayer.